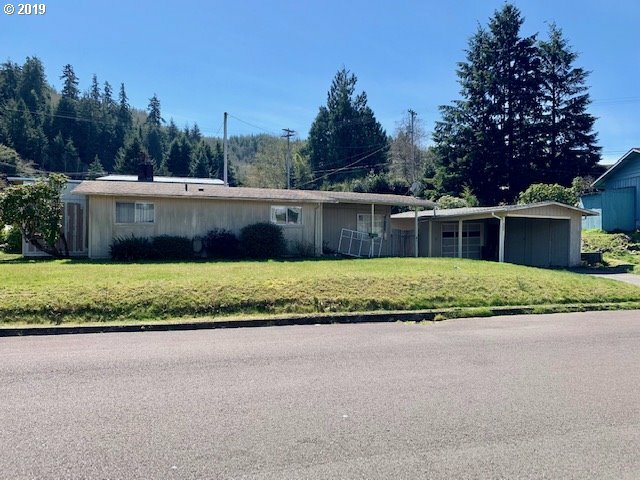 All Reedsport homes currently listed for sale in Reedsport as of 04/19/2019 are shown below. You can change the search criteria at any time by pressing the 'Change Search' button below. 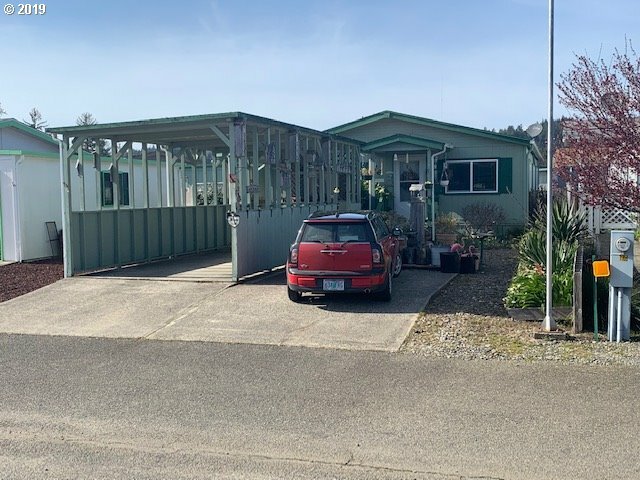 If you have any questions or you would like more information about any Reedsport homes for sale or other Reedsport real estate, please contact us and one of our knowledgeable Reedsport REALTORS® would be pleased to assist you. "Outstanding home with 88.58 acres on 2 tax lots. Marketable timber and farm land included. Enjoy the private setting with a valley view in this 2005 Ranch Style home. Includes vaulted ceilings, beautiful flooring, large rooms throughout, kitchen with granite counter & eat bar, oak cabinets, recessed & special lighting, formal dining room, master bath, walk in closet, sliders to the back deck, oversize garage, work bench and much more!" "This property has so much to offer! Two residences, 37.84 acres with creek frontage & elk viewing. Detached single family home includes 3 bedrooms, 2 baths & large attached garage with office & bathroom. Full sized shop 20X24' wired for 220V welder and compressor with a 14' electric door, overhead trolley,full bath, office and separate storage room. Drive out and experience this beauty for yourself." "Idyllic oregon coast retreat! 50 forested hillside acres just minutes from the coast. Secluded custom home with views of the Umpqua River and Dean Creek Elk Preserve. Go to sleep listiening to the frogs peeping and the canadian gesse murmuring. If you sleep with the window open, you can hear the surf of the ocean. Elk, deer, and bear are frequent visitors. House is 3800 sq ft filled with light and space: 5 bedrooms ,3 baths." "Large property with great potential. Over 30 acres of pasture with river frontage. Timber cruise in 2017 shows estimate of 220,000 bf of mixed merchantable timber. Private valley with home site and area for garden. Current home needs remodeling or build your dream home. Just a short drive from town. Plentiful wildlife including elk and deer. Call today for more information." "Private paradise! It doesn't get any better than this-Country home nestled on almost 5 ac. end of Rd. in a valley with many fruit trees, berries, garden & seas. creek w/ miles of wilderness beyond! Open floorplan w/ many quality upgrades inside & out such as hardwood floors, tile entry and hearth-New vinyl windows and lg glass slider out to new deck off living area, bathroom remodel w/tile & glass block. Xfenced 4 livestock-MUST SEE!" "Country Living just 5 minutes from town. This 3B/2.5B home is unique with its many levels. It has a spacious family room in the basement, master bedroom/bath on main entrance floor, kitchen & Dining & 2nd Bedroom on the 2nd floor. 3rd Bedroom on the 4th floor. The house sits in a private location overlooking the meadows. The house has it's own generator backup system. There is plenty of room in the garage/shop. Fenced back yard." 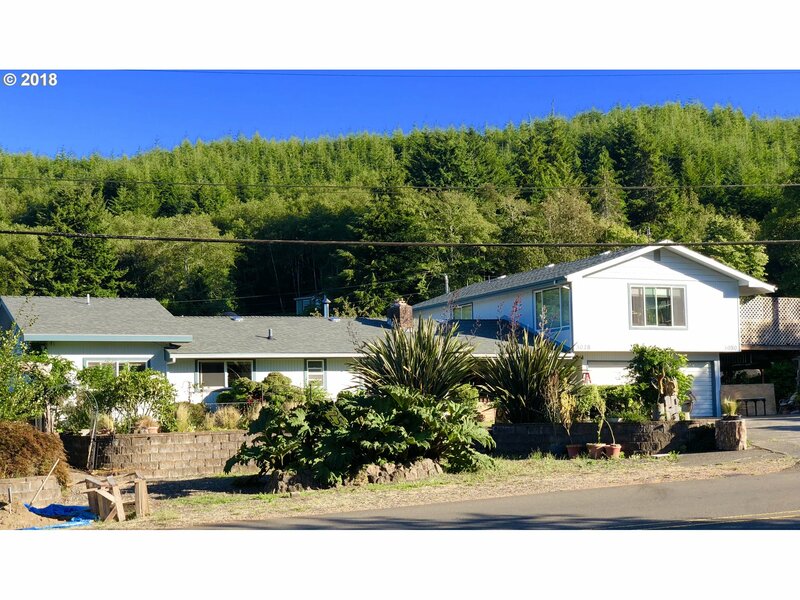 "One owner custom built home with impeccable pasture & Umpqua River views. Includes 2 levels with crafted oak cabinets & trim throughout, large view windows, master suite with W/I closet & tiled shower, spacious fam room downstairs with 1 BR, bath & laundry room. Chef kitchen w/granite counters, artistic tile backsplash, high-end stainless steel appliances, induction oven, wine rack, breakfast bar, travertine flooring & so much more!" "Unique opportunity to own two dwellings on one tax lot. 2 bed 2 bath on main plus 2 bed 2 bath apartment on upper level with separate entrance. Live on one level and rent out apartment for monthly income or for guests. Tons of parking and an amazing garden. Located just a short drive to fishing, hiking, the dunes, and the ocean. A must see to appreciate." 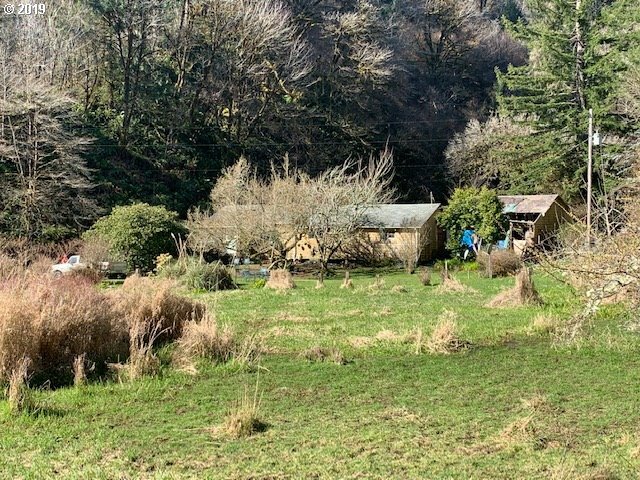 "WOW WHAT A VIEW, LOOKING OVER THE BEAUTIFUL UMPQUA RIVER, LIVING ROOM/DINNING ROOM HAS A OPEN FLOOR PLAN WITH LARGE WINDOWS TO VIEW THE BREATH TAKING SIGHTS BELOW.PROPERTY IS SECLUDED AND VERY PRIVET,2 CAR GARAGE,VINYL WINDOWS,HOT TUB,HARD WOOD FLOORS IN HALL & ALL BEDROOMS.FINISHED BASEMENT WITH FULL BATH & UPGRADED ROOF.. CALL TODAY TO MAKE THIS HOME WITH A VIEW YOURS !!" "COME LOOK AT THIS NICE HOME IN AN UP SCALED NEIGHBORHOOD. OVER LOOKING THE UMPQUA RIVER WOW WHAT A VIEW. LARGE FAMILY ROOM SAUNA HOT TUB AN LOTS OF FRUIT TREES,CLOSE TO RIVERS LAKES DUNES AND BEACHES. THIS HOME HAS LOTS OF ROOM AND STORAGE." "Very nice 4 bedroom and 2 bath home with a office and downstairs family room with lots of built in cupboards for storage.Kitchen has new Granite countertops and back splash with all stainless steel appliances. Beautiful Titan Grand Plank laminate flooring in kitchen and dining area. Cozy and comfortable is the feel as soon as you enter the home." "This home will need to be a cash deal. Home is not financiable do to needing a new roof and some unfinished things inside.Definitepossibilities with so much to offer. This home and huge shop sit on 3 tax lots. Home has 4 bedrooms and 2 baths. Shop is 30W X48Lwith huge loft above." "Ranch home with painting to be completed soon. Renters are currently looking to move and I do need to give them 24 hour notice. 4 bedrooms and 2 baths. Nice deck on the front and fenced yard in back with bbq pit. A little tlc and this will be a wonderful family home.Within walking distance to Elementary school and High school." "Quiet end of street location in charming neighborhood of older well cared for homes. Original hardwood floors, open living, kitchen and dining area. Guest quarters/shop(16'x36') in back yard with huge 20'x36' garage. Extra deep lot with room for all of your toys! Big covered deck for entertaining." "Affordable 2 bedroom 1 bath home with the potential of being a 4 bedroom with finished attic space above. This 1920's home has lots of charm and character,New roof and freshly painted on the outside,you'll love the warmth of the enclosed sunporch,country kitchen with lots of storage,built ins and secret play or storage areas that older homes have to offer. Fenced yard,plenty of parking." 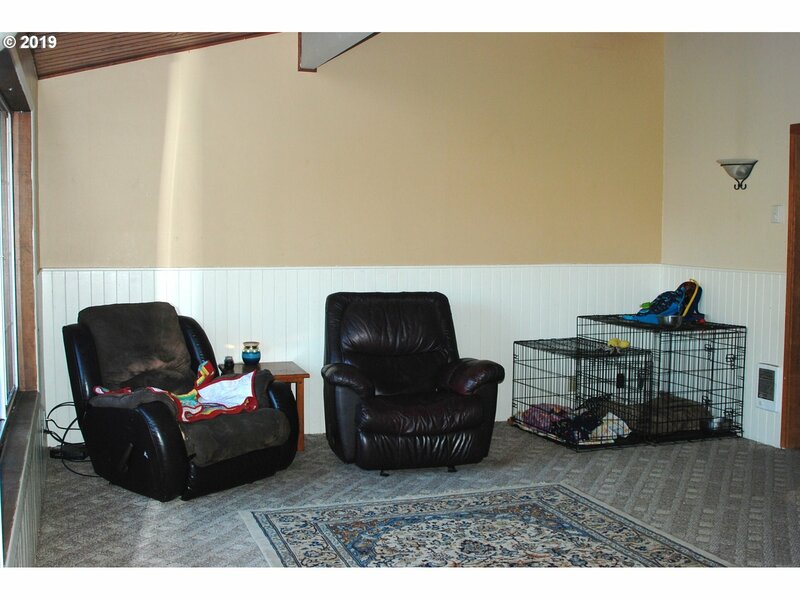 "Cute bungalow , well maintain ,room for carport, Has 3 levels main; step down a landing;3rd. a family room with slider to back yard. Free standing wood stove"
"Prime location for this 2 bed 2 bath home with updates. Newer tile shower, vinyl windows, and updated cabinets. A lot of potential with this home with minimal work. Corner lot, fenced yard, RV parking, workshop, and more. Call today for specific details and to schedule an appointment." 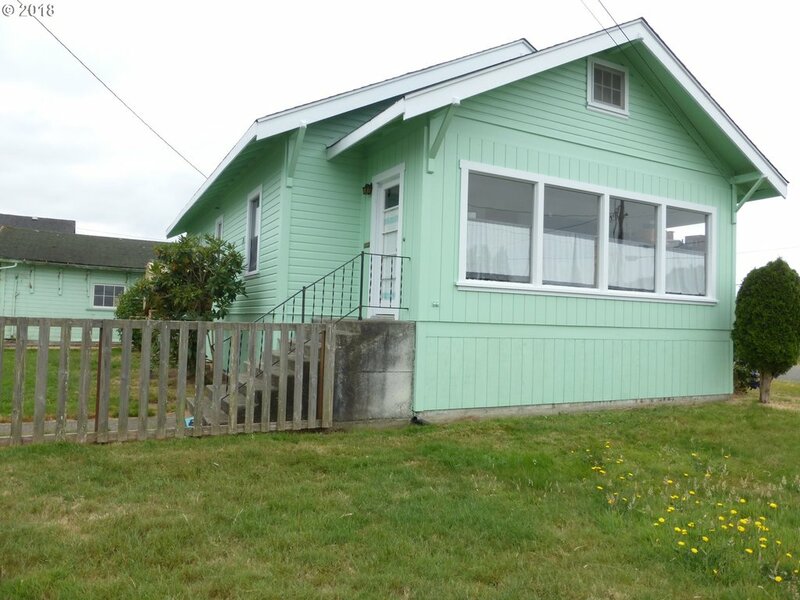 "Ideal location on corner lot between both schools in Reedsport. Home has new roof and some new siding but needs TLC. Some foundation sloping and noticeable exterior rot. Bring your tools and come take a look today." "Light and bright home with multiple skylights in 55+ park. Move in ready with vinyl windows, new flooring, and recently replaced ducting underneath. Oversized side yard with large shed for outdoor enjoyment. 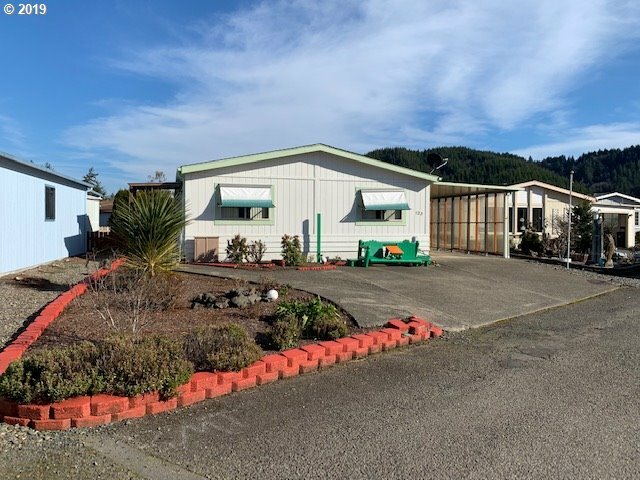 Low maintenance yard, & covered RV parking"
"Spacious 2 bed 2 bath manufactured home with office. Open floor plan with several skylights provides tons of natural light. Attached carport plus room for 2 additional vehicles. Large workshop for additional storage or tinkering."